What does it tell us that the two most famous Jews in southern history are Judah Benjamin (1811-1884) and Leo Frank (1884-1915)? One rose to become a leading political figure of the Confederacy, while the other was lynched by an angry mob in Marietta, Georgia. First, it tells us something about the dynamics of historical memory, which is so often drawn to the exceptional and unique, to the highest heights and the lowest lows. Individually, the stories of Benjamin and Frank offer powerful arguments, in the first case, for the success and influence of southern Jews, and in the second, for their perilous and perpetual difference. Each gives us a different image of the South: the first highlights its tolerance, the second, its prejudice. How can both of these historical narratives be true? How have Jews managed to be both privileged and vulnerable, political powerbrokers and targets of hate crimes? And what can this tell us about our current moment, when Jews occupy positions of power in the White House and, as in Charlottesville, are targets of neo-Nazi intimidation? This dichotomy can be explained in part by particular historical contexts. 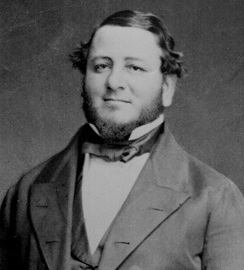 Judah P. Benjamin spent his childhood in Charleston, where there was a cosmopolitan, long-established, and well-to-do Jewish community. Although there were some hiccups – Sunday closing laws and Christian oaths for office-holders were perpetually frustrating – for the most part, in a city that was majority black, Jews were seen as white citizens. They went to a different church, but were acceptable as political leaders and even marriage partners. Benjamin himself was a slave-owner, married a Catholic woman and was elected to political office in Louisiana in 1842, later going on to serve as a United States Senator. When the Civil War broke out, he was asked to serve as attorney general, Secretary of War, and finally as Secretary of State of the Confederacy. By the 1910s much had changed, despite Jews’ long residence in the South and their widespread support of the Confederacy. Jewish migration, first from the North and then from Eastern Europe, led to unfavorable associations of Jews with “carpetbaggers” and with foreigners. New forms of popular racial thinking argued that Jews were not white, but belonged to a distinct racial group that, at worst, was out to destroy white, Protestant civilization. 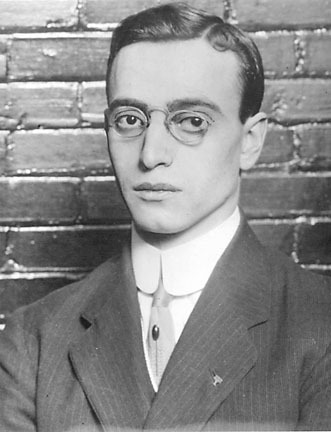 When a white Christian woman was found murdered in the pencil factory where Leo Frank was superintendent, he was accused by a black employee and quickly became the primary suspect. He was convicted of the crime and when his sentence was commuted to life in prison, he was dragged from his prison cell and lynched, the only Jew in southern history murdered by a method deployed upon thousands of African American men after Reconstruction and into the twentieth century. These stories – both of which are much more complicated in their full accounting – have wildly different climaxes and yet they are not as different as they appear. Benjamin, despite his power, was the target of anti-Semitic speech and sentiment, if not action. And Frank, a Texas native and successful businessman, was arguably just as “southern” as Benjamin, who was born in the Caribbean. Both Benjamin and Frank benefited from the privilege of whiteness, but also recognized how provisional and uncertain it could be. Many other less famous southern Jews also learned this lesson as they went about building their synagogues, businesses, and everyday lives. They too found that Jews were often most accepted when they were seen as (white) members of a particular religious faith and faced trouble when they were seen as a permanently different racial group for which even conversion offered little hope. These categorizations were more and less common among certain people and at certain times, but to some extent they always coexisted and continue to coexist today. Southern history, then, is not only a story of acceptance and success for Jews, nor is it solely a story of anti-Semitism and discrimination. Rather, southern Jewish history, from the Civil War to the Civil Rights movement to Charlottesville, is a story of Jews responding to and grappling with their distinctive forms of difference and the paradox of privilege and vulnerability they have occasioned. 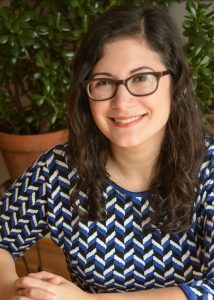 Shari Rabin is Assistant Professor of Jewish Studies and director of the Pearlstine/Lipov Center for Southern Jewish Culture.